Home Staging Services for Reno Tahoe Area | What is Staging? Staging is a powerful marketing tool. 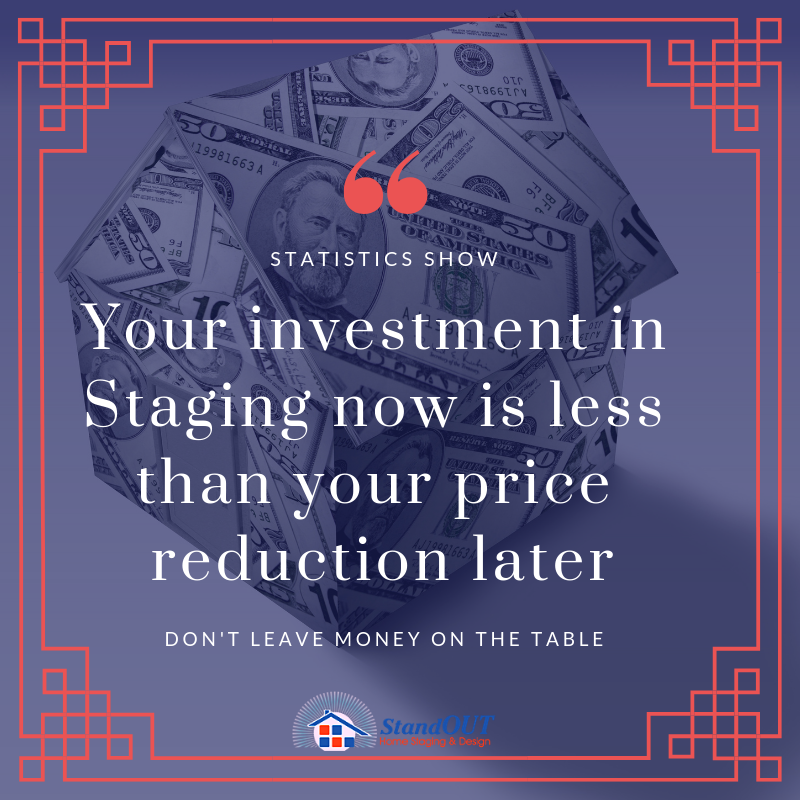 Staging is the process of professionally preparing your home to sell (or rent) faster than your competition for the best possible price in that market. Staging is NOT the same as designing. As a designer myself for many years, my goal was to personalize and beautify my clients’ home and have it reflect their lifestyle and taste. Each home was individual and unique. Staging is just the opposite. It is neutralizing the home. Think of it as making each room vanilla ice cream. Vanilla tastes great, is simple enough to go with anything and easy to enjoy. Staging may include editing out personal items, repositioning furnishings to create larger spaces and increase traffic flow. It may include adding brighter colored furnishings and even paint. Staging makes sure each room displays a purpose and is free of clutter. It is making the house ready to photograph and stand out in advertising online. Simply put, It is converting a home into a house that can be merchandised as a product. The best time to Stage your home is before you put it on the market. If you’re planning to sell, NOW is the time! It may take some time to get your house ready for sale at the best price. If your house is on the market, even if it has been for some time, NOW is the time. One home was on the market 2½ years before it was Staged and went under contract 6 days after it was Staged. How much does Staging cost? Staging is an investment, not a cost. The Staging investment is a lot less than your first price reduction. Typically, if you decide to reduce your price, you would need a 3%-5% decrease in your list price in order to attract buyers in a new price range. StandOUT Home Staging strives to work within your budget to transform your house to appeal to most buyers. Most occupied homes will cost less than .5-1% of the list price of the home. Vacant houses (depending on location and size) can run from 1-5% of the list price. According to a 2017 study by the NAR (National Association of Realtors) staged homes sell for 1-6% more than other comparable non-staged homes. What is the process for Home Staging? The first step is a consultation where we preview the interior and exterior of the home to assess what needs to be done to prepare the house for sale. It typically lasts for 1-2 hours. After the consultation, StandOUT provides a comprehensive staging plan to present the property at its best. Each plan is unique to that home. From there, you as the homeowner can determine whether you want to go forward with StandOUT doing all or some of the recommended work. A quote is provided for extended services, as well as possible furniture and accessory rental if needed. All costs & fees are noted up front in the staging plan. Once the scope of work is determined in the staging plan and quote, StandOUT estimates the time it will take to complete the project and whether additional furniture and/or accessories are needed. Rather than an hourly rate, we charge a flat ½ day or full day rate. That covers the time a standard project will take and calms the fear of many clients who do not know what to expect in hourly fees. Furniture & Accessory costs are determined by the amount of items needed. They are leased for a 90 day period, with a month to month charge following. *Please see contract for additional details. Invite buyers to mentally move in – not move on!